I continue to be concerned about privacy issues and use of Facebook. Facebook’s new Graph Search while increasing the depth of personalization, makes me even more paranoid. Currently Facebook’s new Graph Search is in beta. However, when the new tool rolls out to more and more users, they will be able to glean information from your page. Thus you might want to review your privacy settings. Even if you are not using Graph Search, others will be — and they might have access to pages you have like over the years. Thus they will be in a position to infer various concepts about you, wheth er they are correct or incorrect. I saw this possible search listed on The Huffington Post – Single women who live nearby and who are interested in men and like getting drunk. 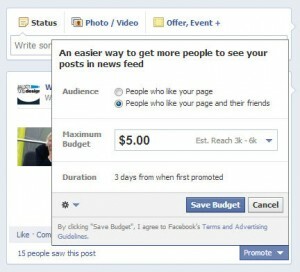 Facebook is experimenting with a new revenue stream, paid personal posts, but the idea could backfire. “I don’t think the average user will pay to have a post promoted unless it was in some way related to business or advertising. When asking our fans if they would be willing to pay, the general response was a flat-out ‘no,'” said Lauren Formalarie of SayItSocial. Facebook wants you to advertise … to your friends. The world’s largest social network, which announced Thursday that it has crossed the billion-user mark, has struggled to make money from its enormous pool of users. The solution: Turning individual users into advertisers. Facebook announced Wednesday that Joe Sixpack will soon be able to ensure that you’re reading his messages, thanks to an expansion of the Promoted Posts program, which lets businesses pay anywhere from a few dollars to a few thousand to ensure that hundreds of thousands of Facebookers see your posts. I toyed with the idea of “paying” to promote this post, then I realized Mark has enough money and doesn’t need any of mine to promote his new ideas. A new app is being tested in Nashville, Tenn., that can check in people on Facebook and send them offers using facial-recognition cameras. 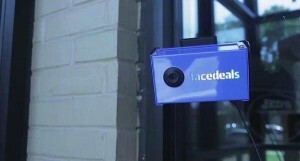 Called Facedeals, the new service uses cameras installed at businesses’ front doors to read people’s faces as they enter. If the people who come in are users of the app, they will be checked in, and based on their “like” history, they would receive a customized offer. To use the app, people first have to sign up. The app will then work with users to verify pictures of them to get a better reading of their face. The Financial Industry Regulatory Authority’s chairman said on Tuesday that regulators plan to review allegations that Morgan Stanley shared negative news before Facebook’s initial public offering with institutional investors. In a separate case, Nasdaq OMX Group has been sued by an investor who claimed the exchange operator was negligent in handling orders for Facebook shares following its IPO, causing losses for investors. All this pales GM yanking its 10 million dollar campaign with Facebook. Oh what a week it has been for “poor” Mark. Read the complete story.